Sometimes it’s hard to crack through the shell of a cynic, and it’s an old game for hardened silent film fans to roll their eyes at the announcement of yet another re-issue of a well-worn classic. How many times does Caligari have to be trotted out? How much longer and how much cleaner/sharper can we make Metropolis? Hasn’t every cineaste worth their salt already seen Man With a Movie Camera? To distributors these films are known as evergreen titles: films that will always be in demand, and which will never go out of fashion. There is gold in the established canon, and those with a passable print are happy ship it year in year out. 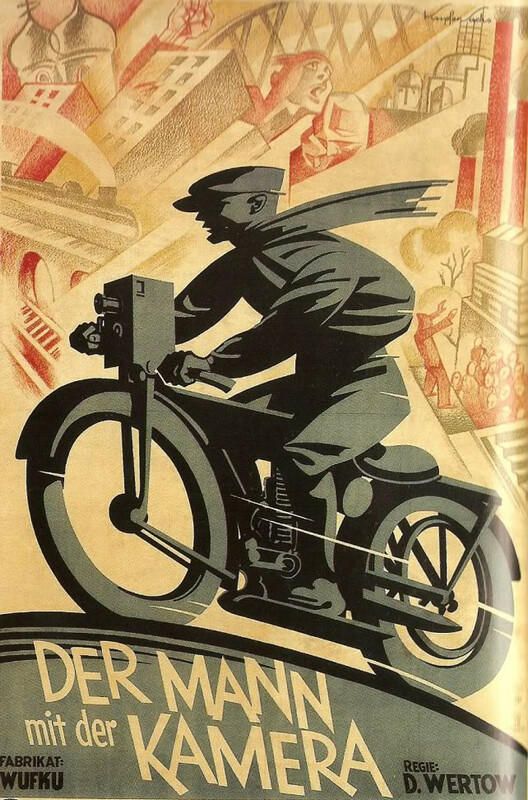 But cynics should pause at the announcement of a new release of Dziga Vertov’s Man with a Movie Camera, as this is far from a case of money for old rope. Ranking 8th in the BFI’s 2012 poll for the Greatest Film of All Time, and then later topping the BFI’s poll for the Greatest Documentary of All Time, this staggering Soviet assault of montage, camera trickery, and visual brilliance has forced itself back on the agenda. 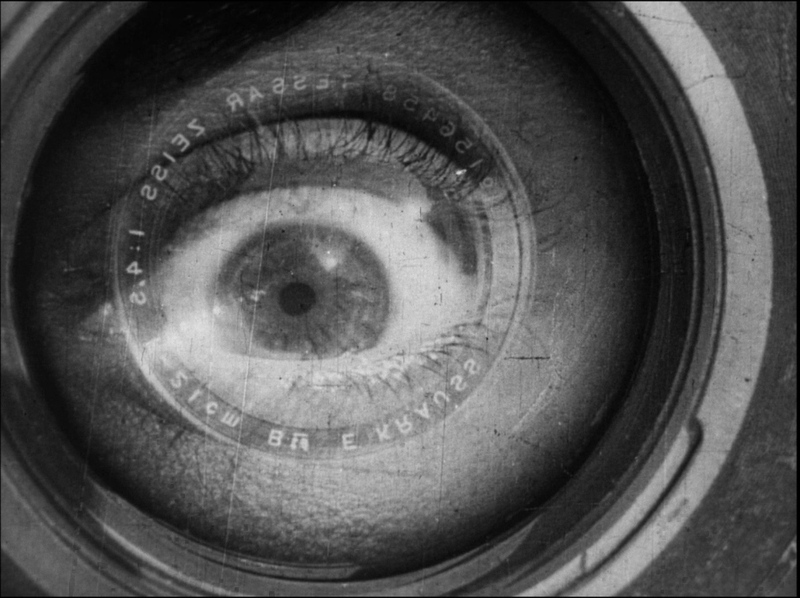 The time is right for a new release of Man with a Movie Camera, but the question is how the BFI can make the cynic see this classic again with new eyes. Arriving on blu-ray with a dazzling new 2k transfer, being able to see Vertov’s classic in extra-extra sharp detail is a real treat, and this detail alone will give cineastes a chance to review the film on a new level. While the slow creep of ‘upgrading’ releases to pin-sharp HD is catching up with the biggest titles of the silent canon, little to no actuality footage (think the Lumieres, or Mitchell & Kenyon) has had this treatment, and as such this high resolution release of Man with a Movie Camera is a rare gift. Pin-sharp detail of street life in cities now transformed is vivid and exciting to see, and a rare practical justification of the upgrade from DVD to blu-ray. The addition of a good and sensitive accompaniment can make or break even the greatest silent film, and is of course an element which can completely revise your view of a familiar favourite. In this regard this release offers only a re-release of the Michael Nyman score first performed in 2002, and issued on DVD in 2008, deftly and energetically performed here by the 12-person strong Michael Nyman band. Those who recognise Nyman’s driving and slightly minimalist approach will be on familiar ground here, and while often effective I found the score occasionally too forceful with a constant energy that limits the accompaniment’s dramatic range. A shame then that the superb deconstructed score from the Cinematic Orchestra, or even the synth heavy In the Nursery score, both previous BFI commissions, are not here reunited with these pin-sharp visuals as an alternative soundtrack. Sharper visuals and a sympathetic score would be plenty for most cineastes, but this BFI release goes well above and beyond in its extras which really makes this edition stand out. Beyond the brief 67 minutes of Man with a Movie Camera, this release also includes three extra Dziga Vertov titles which are broadly interesting in their own right, and which all give the headline title invaluable context. Exemplary among the three is One-Sixth of the Globe, an 84 minute long news-reel/agit-prop throws diverse actuality footage together in a comment on capitalism and as a document of the breadth of Soviet Russia. Three Songs of Lenin is simply put a 61 minute dirge on the deceased communist leader, an interesting if not visually intriguing take on what was a momentous news event. Some of this ground is retrod in Kino-Pravda No. 21, an episode from the punchy newsreel series overseen by Vertov. The director cut his teeth on this important series, and traces of the form which were crystallized in Man with a Movie Camera are clear to see. The caveat to these wonderful additions is the accompaniment they have been matched up with, which even the booklet for this release describes as ‘challenging’ and ‘provocative’. Supplied by British electronic outfit Mordant Music, this extremely repetitive score is a touch industrial and attention grabbing in parts, but will ultimately turn off a lot of audiences. It might have worked for a machine or factory-heavy ten minute agit-prop short, but over the course of almost an hour and a half the sound becomes incredibly taxing. The absence of an alternative soundtrack just exacerbates this, and I’m certain many viewers will eventually resort to the mute button. A real shame that these unique and generous extras should be such a Curate’s egg, but overlooking that I would say that this new release is definitely worth a revisit, or better still a new introduction to a friend who has yet to experience this amazing film.